‘The Katherine River had more peaks than the Blue Mountains.’ Vince Fardone, Katherine Times. ‘We owe a great debt to all our helpers. But the greatest debt goes to the ordinary bloke who got out his boat and risked his life to rescue people.’ Bruce White. ‘And I walked around and around… talking to them to find out what their needs were, who’s going to crack, who’s getting close to cracking… she was yelling so I just put my arms out and gave her a cuddle… ‘ Marion Guppy, Principal coordinating Casuarina Street Evacuation Centre. 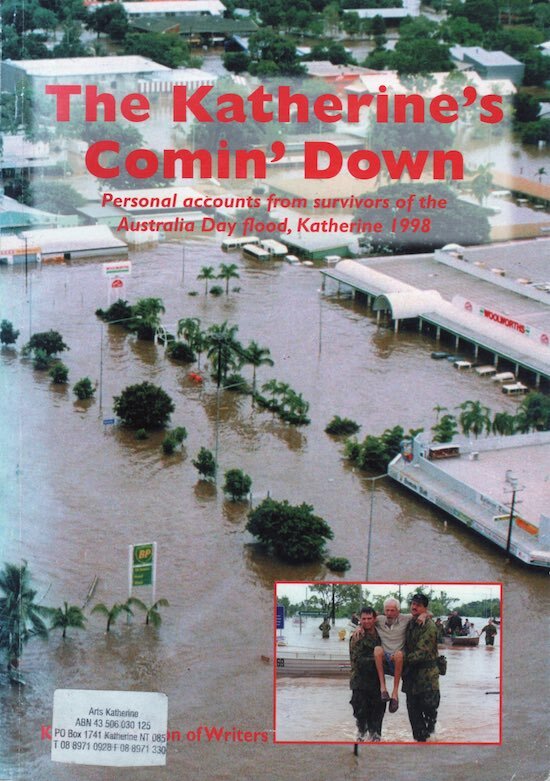 ‘Are there any restaurants open?’ Prime Minister John Howard’s staff in the week of the flood.